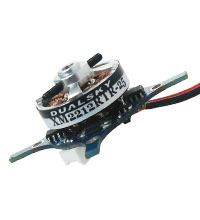 ● Based on proven Xmotor MA series brushless motor design. Adopt curved magnets and higher grade laminations, more powerful upgraded. ● Integrated brushless speed controller. The connections of Xmotor and ESC is under patent -protection. ● The weight of power systems reduced significantly. For example: XM1812MA + XC0610BA = 15g, XM1812RTR = 11g. ● Speed controller PCB to act as firewall. ● Lower internal resistance from power group. AS integration of Xmotor and ESC, wires optimized to the shortest while soldered at the factory. ● RTR system is compact on volume, even the occupied space by ESC can be ignored. ● Ready to Run, easy to use. Fans no longer need to frustrate on selecting the configuration and welding the connectors. ● Battery tip with JST plug, the signal line modular design for easy change to different length. ● Passed the impact test, RTR system proved durable. 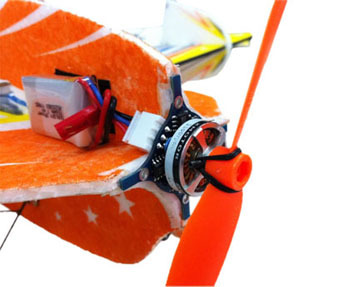 ● Assembled and QC by Dualsky Shanghai factory, quality guaranteed.